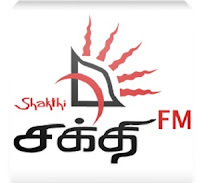 Shakthi FM Sri Lanka Tamil Radio Live Streaming Online . Listen over 100 Tamil FM Radio Stations Live Stream online . Enjoy Tamil Music 24 by 7 Online . This FM is a Sri Lankan Tamil language channel available on air . Shakthi FM Frequenices are 104.1 103.9 . Please wait 20 seconds to listen FM (Player Loading may take 20 Seconds) . This is Sri Lankan Tamil language channel available on air. It broadcasts music, live news, interactive interviews and a host of other programme formats that are innovations in Tamil radio in Sri Lanka.